본 연구는 북한의 광고시장이 개방된다면 옥외광고 시장이 성장할 수 있을 것인가에 대한 논의의 필요성을 제기하고자 시작되었다. 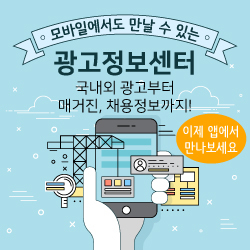 현재 북한은 광고와 관련된 법체계를 개정하여 상업광고의 가능성을 확대하고 있는 추세이다. 따라서 인쇄나 TV와 같은 전통 미디어상의 광고뿐만 아니라 인터넷과 모바일 등의 뉴미디어 광고도 허용되기 시작하였다. 그간 북한의 옥외광고는 관광객이나 외국인을 대상으로 하는 형태로 승인되었으나 최근에는 북한 주민들을 대상으로 하는 제품 광고들이 등장하였으며, 초기 형태의 마케팅 활동도 이루어지는 것으로 분석되었다. This study has begun to raise the necessity of discussing whether the outdoor advertising market can grow if the North Korean advertising market is opened. Currently, North Korea is expanding the possibility of commercial advertising by revising the legal system related to advertising. Therefore, new media advertising such as the Internet and mobile has begun to be accepted as well as advertisements on traditional media such as print and TV. In the meantime, North Korean outdoor advertising has been approved for tourists and foreigners. Recently, however, product advertisements for North Korean residents have appeared, and the initial type of marketing activities are centered on outdoor billboards.